Keep repeat visitors coming back to your website with ever-changing content. Newspapers use syndicated strips to please their readers. Now its your turn - on your website! 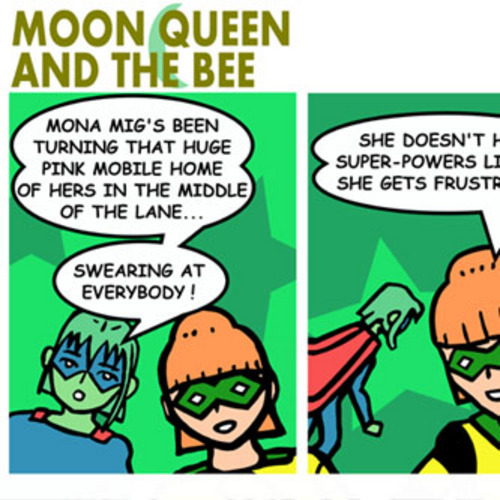 Twenty-one episodes of Moon Queen and the Bee for your website or Email Newsletter. Although these comic strips can be used anywhere on the internet, your licence to use them restricts you to using them to promote one website or business only. Do you want to become a reseller/affiliate and get 51.0% provision? 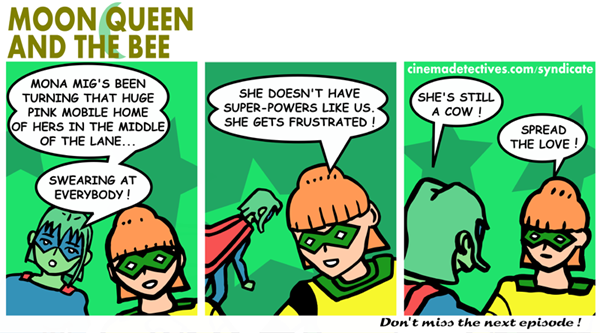 Moon Queen and the Bee Syndication Pack 1 comic book reviews;cinema detectives;moon queen and the bee;mauretania comics 117879030 199.00 metropoppyfield Fresh Download Available!